Rare garden level Forest Knoll condo! 2 bedrooms, 2 full bathrooms all on one level makes it ideal for easy entry with no stairs. Walk in to a nice mudroom entry with large storage closet for all your gear. The open layout is ideal for entertaining with the kitchen flowing in to the dining area and living room. Warm your toes and enjoy the ambiance of the propane fireplace with a flick of the switch. Just off the living area you will find a screened in porch which is a great place to enjoy the outdoors without ALL of the elements! The master bedroom is large and can easily fit a king sized bed. Adjacent full bathroom allows for great privacy from visiting guests. The second bathroom is also designed to be handicap accessible with a wide entry door and a stand up shower. 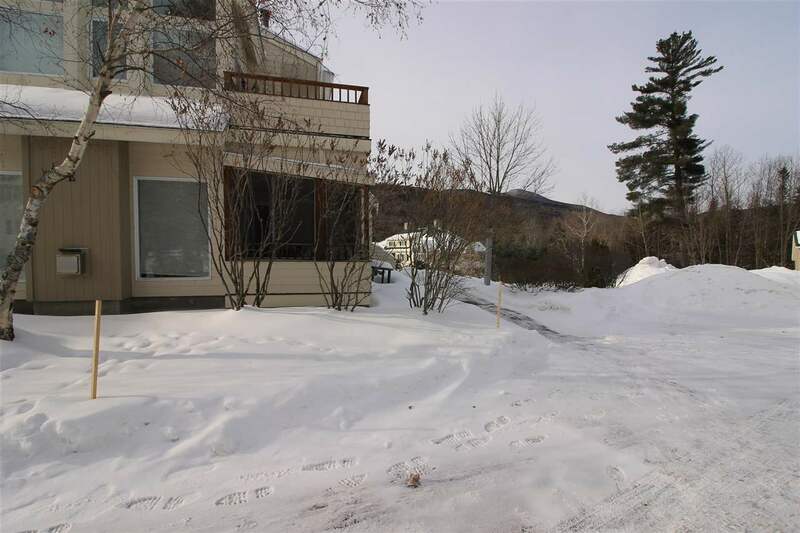 Built in 2001, this condo is efficiently heated with a forced hot water furnace keeping utility costs at a minimum. Comes with transferable White Mt. Athletic Club Membership for a $750 transfer fee. This is great layout and perfect for single level living. Don&apos;t delay!